Mini Birds in Tree Cross Stitch Pattern to print online. 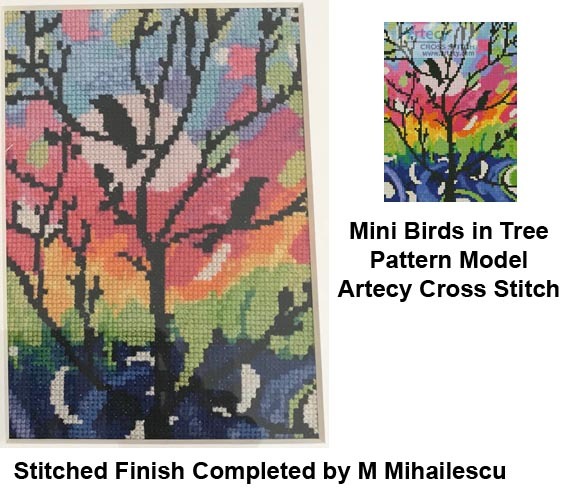 This mini counted cross stitch pattern of a colourful background with birds in a tree in silhouette was created from an image copyright of Image Zoo - Corbis. A larger version of this Pattern can also be found in the Miscellaneous Category here. This product was added to our catalog on Friday 02 March, 2012.